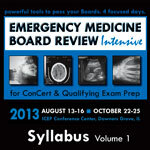 Emergency Medicine Board Review Intensive gives you the edge on studying for your Boards with comprehensive review materials included with registration. Get started with our powerful tools to pass your Boards while you’re at the course … and then take them home to continue your preparation. 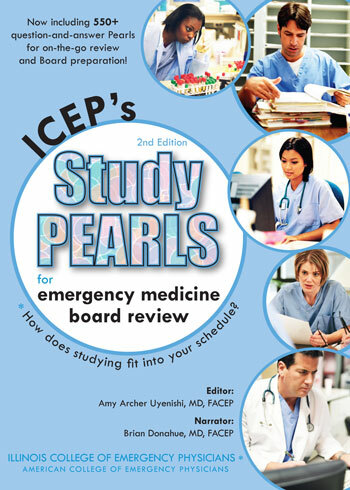 Back by popular demand, participants will receive a comprehensive Syllabus Book with detailed outlines and key-points “pearls” for all course lectures — 900+ pages of study material in hard copy format that makes note-taking easy. Electronic syllabus files will also be emailed 1 week before the course for participants who prefer to use their tablets or laptops to review. Sorry, Syllabus Books are not available to be shipped in advance of the course. ICEP’s exclusive online review program features 650+ visual stimuli-based questions on EKGs, X-rays, infectious disease, EENT, dermatology, trauma, and more. Access starts at the time of course registration through December 31, 2019, allowing you to review whenever it’s convenient, from anywhere with Internet. Plus, earn 27 additional AMA PRA Category 1 Credits™ upon successful completion of the program! Added benefit for participants! 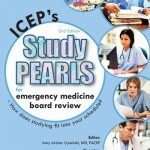 The 3-volume audio CD set of 550+ question-and-answer Pearls brings you 6 hours of on-the-go review and Board prep that mirrors the content emphasis of ABEM’s qualifying exam. Compatible with computers, iPods and traditional audio CD players, the CD program also offers 6 AMA PRA Category 1 Credits™.